Well, who are we to argue with any of that? The sound engine is divided into 4 parts + the vocoder part. You can also “favorite” sounds. And there are more performance features: an arpeggiator (thank you), two displays for more visual feedback, and a song mode with backing tracks. 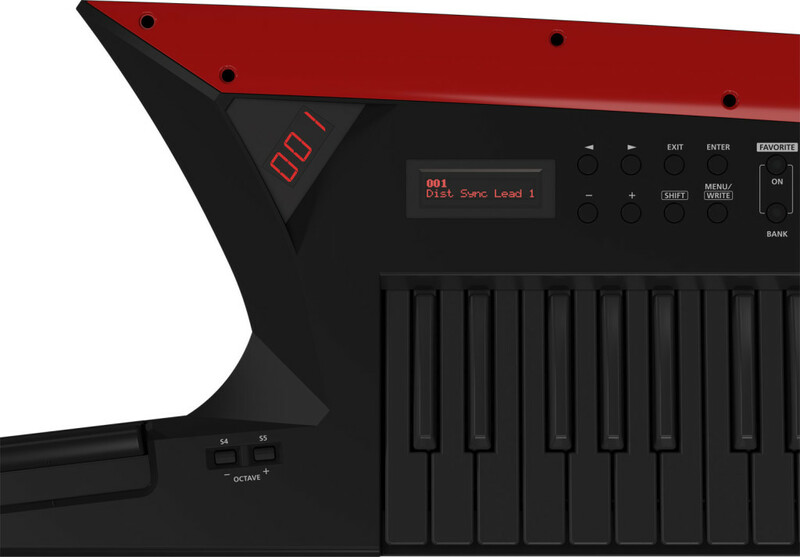 Roland promises four hours of mobile playing time on Ni-MH batteries, or you can tether to power with an AC adaptor. This is a pretty similar arrangement to the previous AX-Synth, so I’ll need to talk to Roland to find out what exactly has changed. The obvious omission: the D-Beam wireless controller. 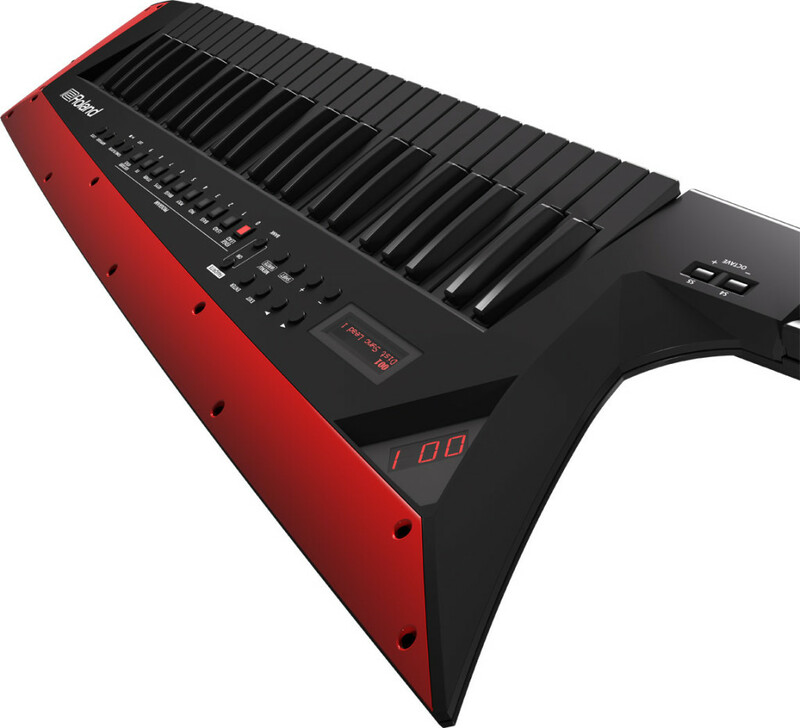 But that was awkward to use on a keytar, since it was designed to be aimed up from a keyboard in front of you on a stand, and you still get control modulation. Clever placement of buttons under your fingers on the neck, in combination with the existing paddle and ribbon controller plus a lot of additional assignable buttons and one assignable knob, open up more serious performance options. The engine promises to back that up, too. Other than that, on specs: the AX-Edge has roughly twice the number of sound presets, presumably using a more up-to-date Roland engine, and a whole bumper crop of effects you can apply to each part. That suggests there’s way more horsepower under the hood. The AX-Edge has also gotten ever so slightly heavier – 4.2 kg instead of 3.9 kg – and has shifted its dimensions around if in roughly the same space. But mostly what I notice is, this looks a hell of a lot better. 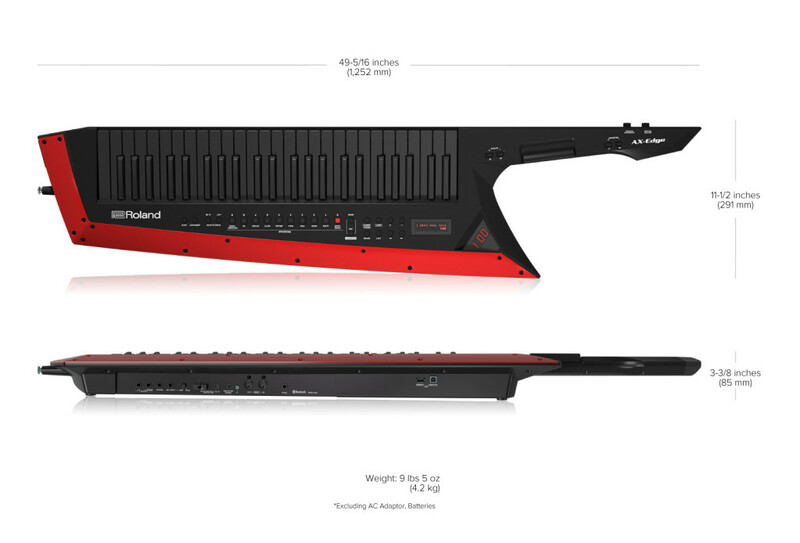 It at least embraces the ridiculousness of a keytar with something that looks badass. 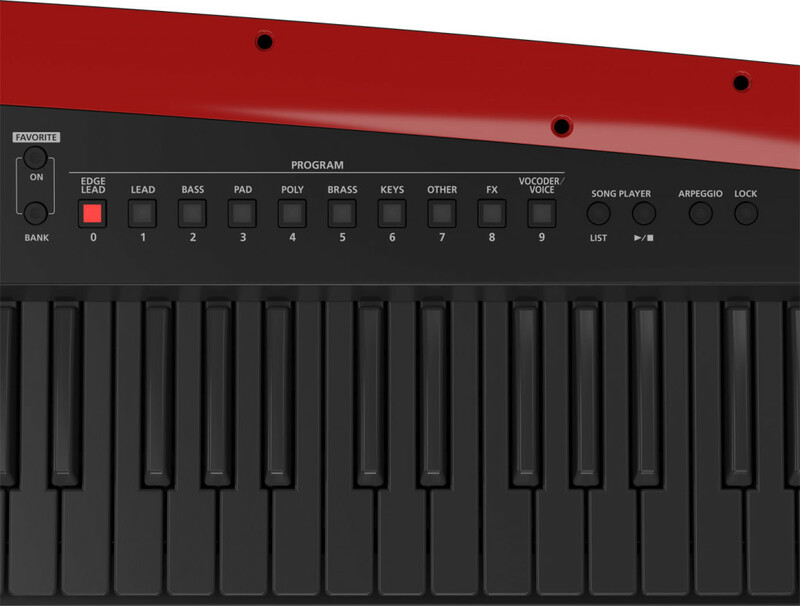 And that’s what’s likely to make it move better in stores, whereas the AX-Synth looked weirdly toy-like for a product with a four-figure price tag. 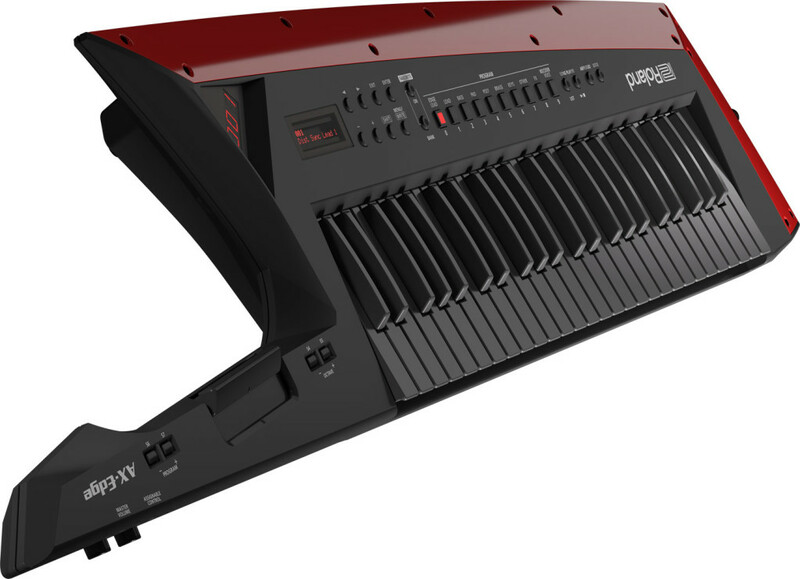 Normally at this point, people start griping in comments about how most people will look horribly dorky playing a keytar, which is true, but you’ll look horribly dorky playing anything unless you clean up your appearance and practice your chops, so there’s that. We’ll keep an eye out for price (critical), and some details on sound engine. 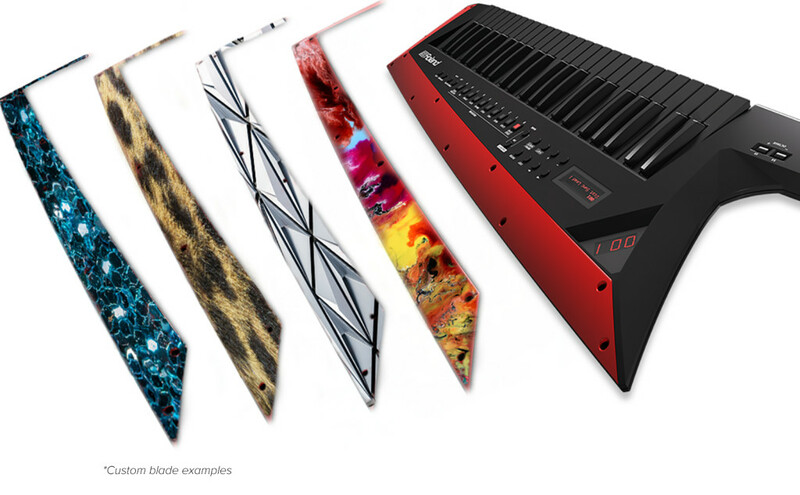 But if this is affordable and sounds great and looks as good in person, you might have to start an electro band. Oh dear. Yes, this is happening.